When you are a high-end or retail brand, you know that branding is essential. A consistent image can only be built by doing the same thing in the same way over and over again. After all, brands like Givenchy, Nike, Adidas, Supreme and Louis Vuitton did not write complete brand books to create uniformity for nothing. In the meantime big OEM companies in the industry also make use of professional brand books. However, the rollout towards their supply chain often lags behind. This is specifically noticeable in the image of installation- and spare parts packaging. You never get a second chance for a first impression. And everyone knows packaging plays an important part in this. Also for the industrial environment consistency is key. A nice, shiny packaging is not a must for an industrial customer, but a professional and consistent image is valued enormously and contributes to a positive brand perception. When you talk about a professional image people often think about nicely designed boxes that are identically formed. Correct, but next to that also labeling is very important! All important information of your product such as name, article number, barcode, … , is on the label. 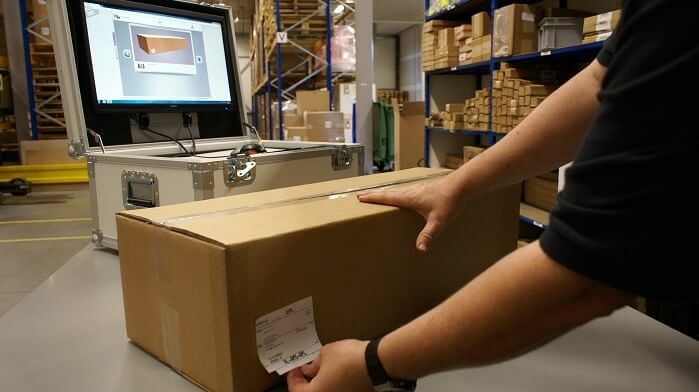 To support this step to professionality, FPC has developed a print module within PackAssist. With this print module you achieve that all departments, worldwide, and all of your suppliers within the complete supply chain, place identical labels consistently in the same position on the packaging. The exact location is shown in an animated instruction in PackAssist that at the same time gives a command to print the uniform label in your company’s design. Moreover, this module is so intelligent, that you can determine (both internally as per supplier) who has to work with your labels, and who has not. You can control this completely and centrally using only 1 application. The biggest advantage is that changes in design and content of labels (that occur more frequently than most people are aware of) are implemented directly, worldwide, across the complete supply chain, without extensive commmunication and misunderstanding. This will save a marketing or supply chan department loads of work and frustration. The linking of the product label printing obligates operators to walk through the complete PackAssist instruction and registration process. This will secure consistent quality and branding. Repacking because the label is not right belongs to the past. Switch to the PackAssist print module!